Spinal disorders, including back and neck pain, are major causes of disability, economic hardship, and morbidity, especially in underserved communities and low- and middle-income countries. Currently, there is no model of care to address this issue. This paper provides an overview of the papers from the Global Spine Care Initiative (GSCI), which was convened to develop an evidence-based, practical, and sustainable, spinal healthcare model for communities around the world with various levels of resources. Leading spine clinicians and scientists around the world were invited to participate. The interprofessional, international team consisted of 68 members from 24 countries, representing most disciplines that study or care for patients with spinal symptoms, including family physicians, spine surgeons, rheumatologists, chiropractors, physical therapists, epidemiologists, research methodologists, and other stakeholders. Literature reviews on the burden of spinal disorders and six categories of evidence-based interventions for spinal disorders (assessment, public health, psychosocial, noninvasive, invasive, and the management of osteoporosis) were completed. In addition, participants developed a stratification system for surgical intervention, a classification system for spinal disorders, an evidence-based care pathway, and lists of resources and recommendations to implement the GSCI model of care. The GSCI proposes an evidence-based model that is consistent with recent calls for action to reduce the global burden of spinal disorders. The model requires testing to determine feasibility. If it proves to be implementable, this model holds great promise to reduce the tremendous global burden of spinal disorders. The online version of this article ( https://doi.org/10.1007/s00586-018-5722-x) contains supplementary material, which is available to authorized users. SH declares funding to UOIT from Skoll Foundation, NCMIC Foundation through World Spine Care. Clinical Policy Advisory Board and stockholder, Palladian Health. Advisory Board, SpineHealth.com. Book Royalties, McGraw Hill. Travel expense reimbursement—CMCC Board. MN declares funding from Skoll Foundation and NCMIC Foundation through World Spine Care; Co-Chair, World Spine Care Research Committee. Palladian Health, Clinical Policy Advisory Board member. Book Royalties Wolters Kluwer and Springer. Honoraria for speaking at research method courses. RC declares funding from AHRQ to conduct systematic reviews on treatments for low back pain within last 2 years and honoraria for speaking at numerous meetings of professional societies and nonprofit groups on topics related to low back pain (no industry sponsored talks). PC is funded by a Canada Research Chair in Disability Prevention and Rehabilitation at the University of Ontario Institute of Technology and declares funding to UOIT from Skoll Foundation, NCMIC Foundation through World Spine Care. Canadian Institutes of Health Research Canada. Research Chair Ontario Ministry of Finance. Financial Services Commission of Ontario. Ontario Trillium Foundation, ELIB Mitac. Fond de Recherche and Sante du Quebec. EH declares he is a consultant for: RAND Corporation; EBSCO Information Services; Southern California University of Health Sciences; Western University of Health Sciences Data and Safety Monitoring Committee, chair, Palmer Center for Chiropractic Research, research committee co-chair, World Spine Care. CDJ is president of Brighthall Inc; she is an NCMIC Board of Director; however, neither she nor NCMIC board makes funding decisions for the NCMIC Foundation; the views in this article are those of the authors and not those of Stanford University, Stanford Health Care, or Qualcomm. KR declares funding to UOIT from Skoll Foundation, NCMIC Foundation through World Spine Care. BNG receives speaker fees and travel reimbursement from NCMIC Speakers’ Bureau; he is secretary of Brighthall Inc; the views in this article are those of the authors and not those of Stanford University, Stanford Health Care, or Qualcomm. DKG declares travel expenses: CMCC to present at the WSC Spine Conference in Botswana. EAc declares grants: Depuy Synthes Spine, Medtronic; Speaker’s bureau: AOSpine, Zimmer Biomet. AA declares no COI. EA declares funding to UOIT from Skoll Foundation, NCMIC Foundation through World Spine Care. 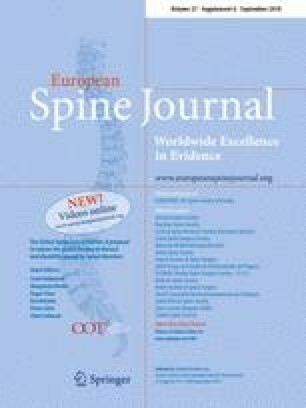 TB declares European Spine Journal provided a grant to investigate scoliosis. OB declares he is a consultant for: Pacira Pharmaceuticals, Inc., Palladian Health; travel expenses: World Spine Care; and stipend: World Spine Care. PB declares contribution to salary for Global Musculoskeletal Alliance (G-MUSC), the Bone and Joint Decade work. JMC declares funding from Spanish Government Grant ESPY 112/18. SE is an employee of the Botswana Ministry of Health and Wellness. CG declares travel expenses: Palmer College to GSCI meetings; is consultant: American Chiropractic Association, Spine IQ, Healthwise, Quality Insights of Pennsylvania, RAND Co., Prezacor, Inc. (Stock Options); PCORI (board member); and grants from Collaborative Care for Veterans with Spine pain and Mental Health Issues. NIH/Kiernan Chiropractic Care in Rehabilitation at Crotched Mountain: Crotched Mountain Private Sector Integrated Chiropractic Study N/A. NCMIC Foundation Chiropractic services, Assessment of Chiropractic Treatment for Low Back Pain; RAND Subcontract, Department of Defense Prime Award #W81XWH-11-2-017 Sub #9920110071. JH declares his research group has extensive funding from Danish public funding agencies, the European Union, and Danish charities. MH declares travel support from World Spine Care. JM declares general research resources from USF Research Center and research grants from funding agencies: FEMA, US Department of Homeland Security (EMW-2013-FP-00723); Palladian Health Advisory board: Clinical Policy and Advisory Board; Intellectual property rights: inventor of Web-based system to deliver exercise (Employer—USF: copyright holder). TM declares fellowship grant-Medtronics. JM is a WSC Board Member. EM declares AO Spine Africa Faculty courses—honorarium. GO declares he is a consultant and receives travel support as clinic director, World Spine Care. HR declares funding to UOIT from Skoll Foundation, NCMIC Foundation through World Spine Care. MS declares he is a scientific advisor, NuSpine; consultant, and State Farm. ES declares funding from Başkent University Research Fund. ATV declares funding to UOIT from Skoll Foundation, NCMIC Foundation through World Spine Care. LV declares funding to UOIT from Skoll Foundation and NCMIC Foundation through World Spine Care. WW declares Palladian Health Clinical Policy Advisory Board member. JJW declares funding to UOIT from Skoll Foundation, NCMIC Foundation through World Spine Care. HY declares funding to UOIT from Skoll Foundation, NCMIC Foundation through World Spine Care. Remaining authors declare that they have no conflict of interest.